One of the most gratifying aspects of my work at the gallery is seeing our artists’ works included in museum exhibitions and collections. Whether the pieces are on display for a temporary show or are being added to the permanent collection, it’s great to see artists get the recognition they deserve. I’m also interested in the ways curators perceive and present works that are familiar to me – often shedding new light on their significance or illuminating connections with other artists. 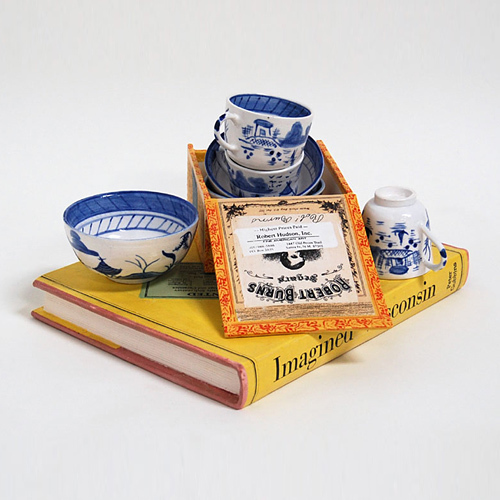 Right now, Canton Collection by Richard Shaw is on display at the Museum of Fine Arts, Boston as part of their exhibition “New Blue and White.” Referring to the tradition of blue and white porcelain, a practice with its roots in the Islamic world as well as Asia, Europe, and the Americas, the show explores how contemporary artists draw inspiration from this rich history. A signature trompe-l’oeil work, Canton Collection is a great example of appropriating historical practices for contemporary purposes. Shaw hand-painted original designs in the style of Chinese blue and white porcelain on the vessels he fabricated for this piece, but they can’t be used for their traditional purposes. Permanently attached to each other, the vessels allude to functionality but ultimately deny it. 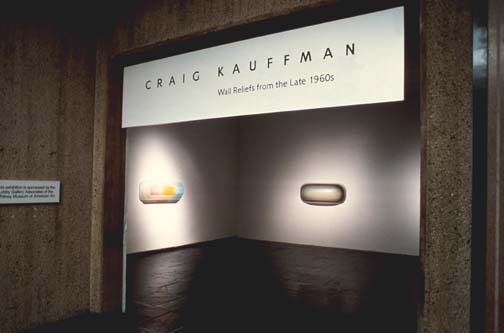 Another gallery artist on display at a major museum is Craig Kauffman at the Museum of Modern Art. 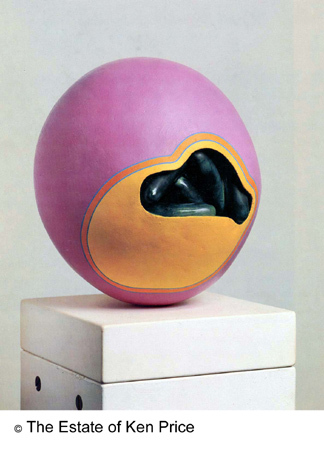 With several works in their permanent collection, Kauffman’s 1968 Untitled bubble has a prominent position in MoMA’s fourth floor gallery. Acquired for the museum by legendary curator Kynaston McShine, Untitled was first exhibited in the 1969 show “Five Recent Acquisitions,” alongside works by Larry Bell, Ron Davis, Robert Irwin and John McCracken. This ground breaking show was re-staged by P.S. 1 Contemporary Art Center in 2010 as part of their large-scale “1969” exhibition, which sought to explore the art of this tumultuous period. 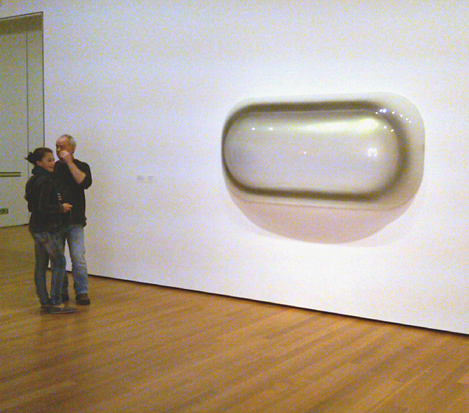 Back home at MoMA, Untitled really makes a statement about the early critical response to Craig Kauffman’s work. 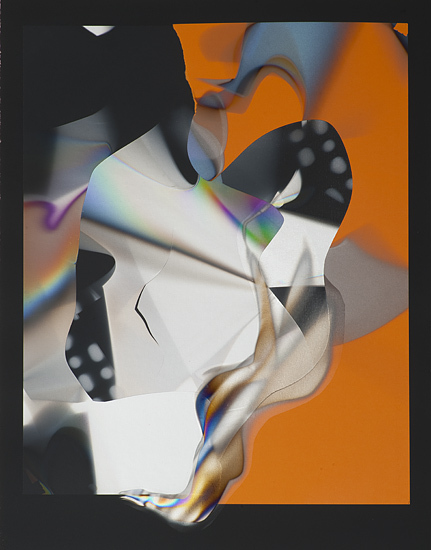 Larry Bell also has great representation in museum collections across the country. The Hirshhorn Museum and Sculpture Garden has on display a 1964 Untitled cube, bequeathed to the museum in 1981 after the death of Joseph Hirshhorn. 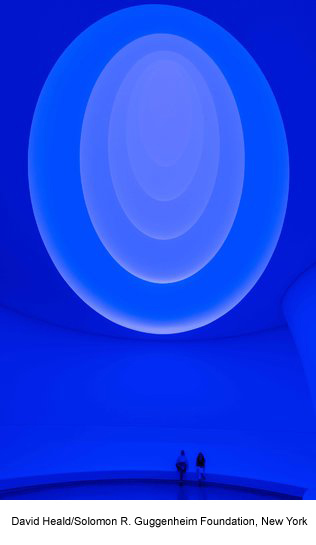 Bell has an installation on view at the Smithsonian American Art Museum as well. 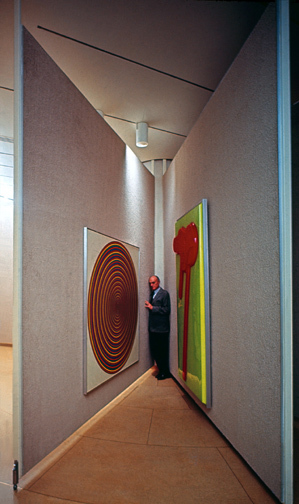 Made in 1987-1988, this ten foot high room installation can be seen on the third floor of the east wing, where its reflective properties play with visitors’ visual perceptions. 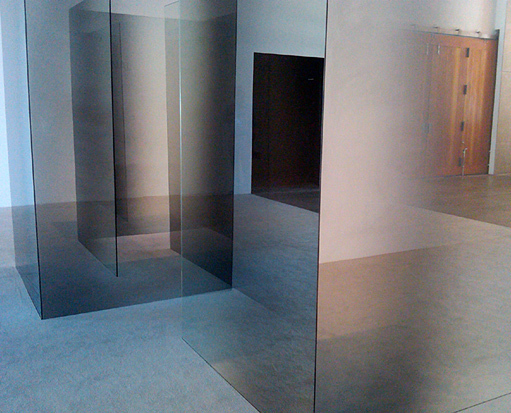 A large-scale installation was recently included in the PST show “Phenomenal: California Light, Space, Surface,” held at the Museum of Contemporary Art San Diego in late 2011.